Interested in securing a legal apprenticeship? Law apprenticeships are a new and exciting way to get into law careers quicker than ever before. This page explains what law apprenticeships are, the application process as well as a step-by-step guide on how to secure a law apprenticeship. You can also book a ticket to our Law Apprenticeship Conference for more information! If you’re thinking about a law career but university isn’t up your street and/or the thought of exorbitant tuition fees makes you feel slightly nauseous, there is an answer, law apprenticeships! This page aims to introduce you to the new and innovative ‘Trailblazer’ law apprenticeships in terms of what they involve and how you can kick start your law career as an apprentice. If you would like to learn more about law apprenticeships, why not come to our new Law Apprenticeship Conferences in London and Manchester? ‘Trailblazer’ law apprenticeships have been developed by a high profile panel of law firms (the ‘Trailblazers’) including Addleshaw Goddard, Browne Jacobson, Burgess Salmon, Clyde & Co, DAC Beachcroft, Dentons, DWF, Gateley, Kennedys, Lewis Silkin, Mayer Brown, Olswang, Pannone, Simmons & Simmons, Stephenson Harwood, Thomas Eggar and Withers. Remove the financial barriers of higher education. As university fees continue to rocket, it is thought that law apprenticeships will become increasingly popular. Even at this very early stage, these Trailblazer law apprenticeships are already starting to gain huge traction. It is possible to progress from one apprenticeship onto the next. So, for example, following a level 3 paralegal apprenticeship, you could, if you so wish, progress on to the level 6 chartered legal executive apprenticeship or a level 7 solicitor apprenticeship. Some law firms are currently offering candidates paralegal apprenticeships with the option to progress onto a solicitor or chartered legal executive apprenticeship if they perform suitably well and the vacancies exist. Apprentices spend the majority of their time working in a law firm (which sponsors them through the entire apprenticeship). At the law firm apprentices work on developing their skills, commercial awareness and legal knowledge in a variety of different areas of the law. This ‘work-based learning’ is blended with part-time legal study. Apprentices will be intermittently ‘released’ to an educational institution (which is partnered with their sponsoring law firm), for around one day a week to learn about more theoretical aspects of the law. Some study may also be carried out online. Either way about 20% of the working week will be taken up by online or offline study of some form. Is a law apprenticeship right for you? Take the quiz! Who Can Apply for Legal Apprenticeships? Legal apprenticeships are open to individuals who have completed A-Levels. So whether you are fresh out of school or considering law apprenticeships later down the line (for example, following degree study) you can apply to become a law apprentice. 3 A-Levels at grade C and above, some firms expect as much as ABB. When Can I Apply for Legal Apprenticeships? Candidates should aim to apply during their final year of A-levels or equivalent. What Sort of Work Do Legal Apprenticeships Involve? Admin tasks such as document reproduction / management. As part of your law apprenticeship, you may also be expected to develop and maintain an up-to-date portfolio of your work with examples of tasks you have undertaken such as research and drafting tasks. This portfolio will ultimately be used as evidence of the work you have undertaken and the experience you have gained when it comes to qualification. What Skills and Attributes Will I Need to be a Successful Legal Apprentice? How much law apprentices are paid very much depends on the sponsoring law firm. In their first year, apprentices can earn anything between £11,000 and £19,000 plus benefits depending on location and level of apprenticeship. The beauty of this is that it all goes into your back pocket. Unlike university you are not expected to pay anything towards your training and associated study. What are the Benefits of Legal Apprenticeships? Do Legal Apprenticeships Involve any Formal Examinations? All of the Trailblazer apprenticeships involve some form of formal examination and assessment. The way in which you are examined will vary depending on which apprenticeship you are undertaking. You will be expected to take exams and assessments throughout the apprenticeship. You will also be required to pass the Solicitors Qualifying Examination (SQE) which is a centralised exam split into 2 parts. 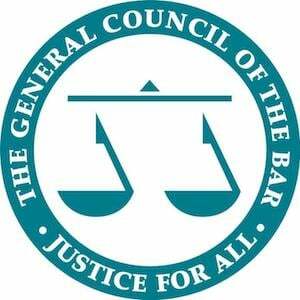 To find out more, click on the link – The Solicitors Qualifying Examination (SQE). You will be expected to pass CILEx exams at level 3 and 6 as well as submitting an end point case study which meets the CILEx regulations for qualifying employers. You will be required to submit a portfolio of competence and undertake two timed synoptic exams in Law and Practice and Client Care and Legal Research Skills. What are the Disadvantages of Legal Apprenticeships? Ultimately, it is down to each individual to weigh up these pros and cons and formulate their own conclusions on this. Which Law Firms are Currently Offering Legal Apprenticeships? Take a look at our Law Apprenticeships Deadline Calendar to see which law firms are currently taking on law apprentices. The calendar not only sets out application deadlines but also entry requirements, the type of apprenticeship being offered (solicitor / paralegal etc), salary details and direct links to application forms/ processes). Implementing apprenticeship programmes at Eversheds Sutherland w subs from BPP on Vimeo. Before you start thinking about submitting legal apprenticeship applications, an important first step is to establish where you want to apply. Whether you wish to apply to traditional law firms or in house legal departments. By carrying out thorough research, you can tailor your applications accordingly and make sure you are applying to firms that are a good fit for you. Remember, law firms are not interested in standard form, generic applications, a commitment to and an understanding of their particular firm and its inner workings is crucial. The apprenticeship application process is very similar to the process involved in applying for training contracts. So visit our training contract application page to find out more about how the overall application process works. The apprenticeship interview process is very similar to the process involved in applying for training contracts. So visit our training contract interview page to find out more about how the overall interview process works. One important thing to note here is that during any interview or assessment process, no legal knowledge on your part will be assumed and you will not be evaluated as an applicant on this basis. If, following the rigorous interview process and any assessment days you have sufficiently impressed the law firm in question, they may offer you an apprenticeship. Most law firms will call you in person to deliver the good news. It is then ultimately down to you as to whether you accept the offer! Find Out More at One of Our Popular Law Apprenticeship Conferences! Created by experienced lawyers and legal professionals, our conference will give you the expert advice you need to excel in apprenticeship applications and interviews. Our last conference was sponsored by huge names like Dentons and Charles Russell Speechlys! Hear from lawyers, legal experts and key note speakers at our flagship conference – all for free! Put your apprenticeships questions to The Lawyer Portal Community. Get help, give help and join the conversation today!